Chicago has been rocked by another weekend of violence, with local media reports saying that as many as 36 people have been shot since Friday night. NBC Chicago reported that at least five people were killed and 31 others were shot across Chicago in just over 24 hours of violence. Based on Chicago’s prior weekend trends, that number is sure to rise. If it continues, the weekend from late July 29 to early August 1 could be among the deadliest this year in the city. According to the NBC affiliate report, the victims are in the age range of 17 to 31, including a woman who got into an argument that turned deadly. The latest homicide took place early Sunday in the West Garfield Park neighborhood on Chicago’s West Side. Latrell Gipson, 27, was shot as he was walking on the sidewalk. He was rushed to Mount Sinai Hospital, where he was pronounced dead at 1:10 a.m. local time, police told NBC. 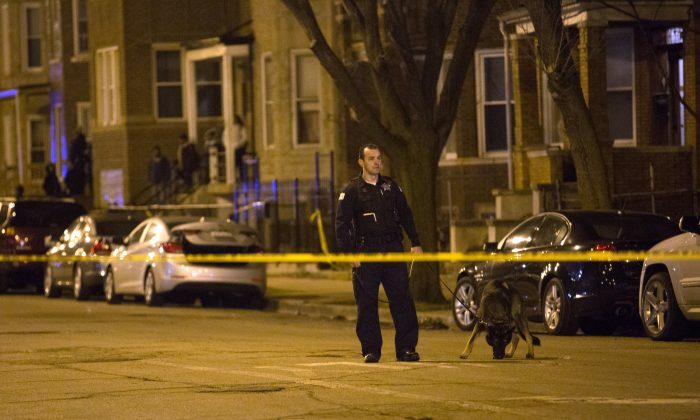 On Saturday night, in the Woodlawn neighborhood on Chicago’s South Side, a 21-year-old man was sitting in a vehicle when a black SUV pulled up and someone inside the vehicle opened fire. The man, who was unidentified, was taken to Stroger Hospital, where he was pronounced dead, officials said. In the fight between two groups of women at around 3:20 a.m. on Saturday, one woman was shot and killed. She was identified as 27-year-old Marteace Rhone. A 21-year-old woman was taken to the hospital with a gunshot wound, and a 28-year-old woman was stabbed in the arm, according to authorities, reported NBC. According to local news website DNAInfo’s statistics, 379 people have been murdered in Chicago so far this year. In 2015, 493 people were murdered. During the July 4 weekend, 51 people were shot, four fatally, in the city, reports at the time said. Mayor Rahm Emanuel noted, however, that this year’s Independence Day weekend death toll was the lowest in nearly a decade.